The Partition of Bengal in 1905, was made on October 16, by then Viceroy of India, Lord Curzon. Partition was promoted for administrative regions; Bengal was as large as France but with a significantly larger population. The eastern region was thought to be neglected and under-governed. By splitting the province, an improved administration could be established in the east where, subsequently, the population would benefit from new schools and employment opportunities. However, other motives lurked behind the partition plan. Bengali Hindus were in the forefront of political agitation for greater participation in governance; their position would be weakened, since Muslims would now dominate in the East. Hindus tended to oppose partition, which was more popular among Muslims. What followed partition, however, stimulated an almost national anti-British movement that involved non-violent and violent protests, boycotts and even an assassination attempt against the Governor of the new province of West Bengal. Partition barely lasted half a decade, before it was annulled in 1911. Britain's policy of divide et impera which lay behind partition, however, continued to impact on the re-united province. In 1919, separate elections were established for Muslims and Hindus. Before this, many members of both communities had advocated national solidarity of all Bengalis. Now, distinctive communities developed, with their own political agendas. Muslims, too, dominated the Legislature, due to their overall numerical strength of roughly twenty eight to twenty two million. Nationally, Hindus and Muslims began to demand the creation of two independent states, one to be formed in majority Hindu and one in majority Muslim areas with most Bengali Hindus now supporting partitioning Bengal on this basis. The Muslims wanted the whole province to join the Muslim state, Pakistan. In 1947, Bengal was partitioned for the second time, this time specifically on religious grounds. It became East Pakistan. However, in 1971, for cultural reasons, East Pakistan became the independent state of Bangladesh. Partition may sometimes be necessary as a pragmatic strategy to avoid bloodshed but more often than not this leads to new problems that divide even more people. Almost always, partition produces discontent among minorities on both sides of the border. Both partitions of Bengal saw bloodshed, ruined lives and made the world a less united place. A partitioned world will not be able to make our planet a common home, so that it becomes a shared, not a contested space. As a race, people need to find ways of building bridges instead of barriers. Lord Curzon, architect of the 1905 Partition of Bengal. Partitioning Bengal was first considered in 1903. 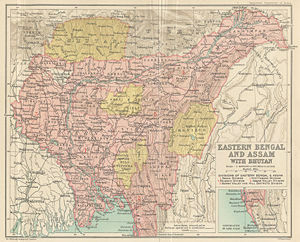 There were also additional proposals to separate Chittagong and the districts of Dhaka and Mymensingh from Bengal, attaching them to the province of Assam. The government officially published the idea in January 1904, and in February, Lord Curzon the Governor-General of India made an official tour to eastern districts of Bengal to assess public opinion on the partition. He consulted with leading personalities and delivered speeches at Dhaka, Chittagong and Mymensingh, explaining the government's stand on partition. Curzon explained the reason for partition as an administrative improvement; "under the British the province of Bengal was as large as France, with a population of seventy-eight and a half million, nearly as populous as contemporary France and Great Britain combined," says Hardy. The province included Bihar and Orissa and the eastern "region was notoriously under-governed." According to Hardy, Curzon did not intend to divide Hindus, who were the majority in the West, from Muslims, the majority in the East but "only Bengalis." The plan was to re-unite the eastern region with Assam (which had been part of Bengal until 1874) and to form a "new province with a population of thirty-one millions, of whom 59 percent would be Muslims." The plan also involved Bengal ceding five Hindi-speaking states to the Central Provinces. It return, it would receive, on the western side, Sambalpur and five minor Oriya- speaking states from the Central Provinces. Bengal would be left with an area of 141,580 sq. miles and a population of 54 million, of which 42 million would be Hindus and 9 million Muslims. However, Bengali speakers would be a minority in the West "in relation to Biharis and Oriyas." Administration of the new province would consist of a Legislative Council, a Board of Revenue of two members, and the jurisdiction of the Calcutta High Court would be left undisturbed. The government pointed out that Eastern Bengal and Assam would have a clearly demarcated western boundary and well defined geographical, ethnological, linguistic and social characteristics. The government of India promulgated their final decision in a resolution dated July 19, 1905, and the partition of Bengal was effected on October 16 of the same year. As details of the plan became public knowledge, prominent Bengalis began a series of demonstrations against partition and a boycott of British products. While protest was mainly Hindu-led the Muslims nawab of Dhaka was also initially opposed to the plan, even though Dhaka would serve as capital of the new province. Baxter suggests that the "divide and rule" policy was the real reason for partition. Lord Curzon said, "Bengal united is a power; Bengali divided will pull in several different ways." Bengalis were the first to benefit from English education in India and as an intellectual class were disproportionately represented in the Civil Service, which was, of course, dominated by colonial officials. They were also in the forefront of calls for greater participation in governance, if not for independence. By splitting Bengal, their influence would be weakened. This would also, effectively, divide the nationalist movement. Bengalis, who regarded themselves as a nation, did not want to be a linguistic minority in their own province. Indeed, many of those Hindus who were considered "unfriendly if not seditious in character" lived in the east and dominated "the whole tone of Bengal administration." Since Muslims would form the majority in the east under the plan, their power would be undermined. Baxter is thus, unlike Hardy, of the view that playing Hindu and Muslims off against each other did lie behind the partition plan. Calcutta, the capital of the united province, was still at this point also the capital of British India, which meant that Bengalis were at the very center of British power. At the same time, the Muslims of Bengal were considered loyal to the British since they had not joined the anti-British rebellion of 1857-8, so they would be rewarded. Partition took place October 1905. It resulted in a huge political crisis. The Muslims in East Bengal after initial opposition tended to be much more positive about the arrangement, believing that a separate region would give them more opportunity for education, employment, and so on. However, partition was especially unpopular by the people of what had become West Bengal, where a huge amount of nationalist literature was created during this period. Opposition by Indian National Congress was led by Sir Henry Cotton who had been Chief Commissioner of Assam, but Curzon was not to be moved. 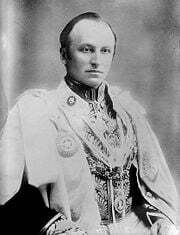 His successor, Lord Minto, also though it crucial to maintain partition, commenting that it "should and must be maintained since the diminution of Bengali political agitation will assist to remove a serious cause of anxiety… It is," he continued, "the growing power of a population with great intellectual gifts and a talent for making itself heard which is not unlikely to influence public opinion at home most mischievously." Sir Andrew Fraser, formerly Lt. Governor of Bengal stayed on as Governor of West Bengal and was especially targeted by anti-partition agitators, who derailed his train in 1907. He retired in 1908. Support for the anti-partition cause came from throughout India, where the partition of an historic province was regarded as an act of colonial arrogance and blamed on the divide and rule policy. "Calcutta," says Metcalf, "came alive with rallies, bonfires of foreign goods, petitions, newspapers and posters." Anti-British and pro-self-rule sentiment increased. In fact, the Swadeshi movement itself emerged from opposition to Partition, which was regarded as "a sinister imperial design to cripple the Bengali led nationalist movement." Later, Cotton, now Liberal MP for Nottingham East coordinated the successful campaign to oust the first lieutenant-governor of East Bengal, Sir Bampfylde Fuller. In 1906, Rabindranath Tagore wrote Amar Shonar Bangla as a rallying cry for proponents of annulment of Partition, which, much later, in 1972, became the national anthem of Bangladesh. The song "Bande Mataram" which Tagore set to music became the "informal anthem of the nationalist movement after 1905." Secret terrorist organizations began to operate, for whom Bengal as their mother-land was epitomized by the goddess Kali, "goddess of power and destruction, to whom they dedicated their weapons." Curzon Hall, University of Dhaka. Due to these protests, the two parts of Bengal were reunited in 1911. A new partition which divided the province on linguistic, rather than religious, grounds followed, with the Hindi, Oriya and Assamese areas separated to form separate administrative units. The administrative capital of British India was moved from Calcutta to New Delhi as well. Dhaka, no longer a capital, was given a University as compensation, founded in 1922. Curzon Hall was handed over to the new foundation as one of its first building. Built in 1904, in preparation for partition, Curzon Hall, which blends Western and Moghul architectural styles, was intended to be the Town Hall. East and West Pakistan before 1911, following Bengal's second partition in 1947. Although protest had been largely Hindu-led, such eminent leaders of the Indian nationalist movement at Nazrul Islam and Rabindranath Tagore stressed Hindu-Muslim unity. Although some opponents to partition gave it a religious aspect by identifying closely with Kali, others stressed the unity of the Bengali nation, not religion. Divine and rule, however, continued as a British policy. In 1919, they created different electorates for Muslims, Hindus and for other distinctive communities. A new award of seat allocation in 1932 increased Muslim representation. This encouraged Muslims to develop as a "social-cultural group" so that even in Bengal where, culturally, Muslims shared much in common with Hindus, they began to regard themselves as a separate nation. As Indian nationalism gained momentum, Muslims and Hindus began to demand a new partition, more radical than that of 1905. This one would divide Hindu-majority areas from Muslim majority areas to form the independent states of India and Pakistan. Yet, as plans for Pakistan were set in motion, many people assumed that the Muslims of Bengal would not want to join the proposed state, partly because of its geographical distance from the other main centers of Muslim majority population over one thousand miles to the West but also due to the strength of Bengali nationalism. The proposed name for the new Muslim state, Pakistan, was formed from Punjab, Afghania (North-West Frontier Province), Kashmir, Sindh, and Baluchistan, thus, Bengal was not included. The United Bengal Movement did champion a separate, united state for all Bengalis on the eve of the 1947 partition but failed to attract enough support. If the 1905 partition had not happened, Bengali nationalism would probably have been strong enough to resist partition when this was once more placed on the agenda. The consequences, however, of the 1905 partition and of subsequent British divide and rule inspired policies seriously undermined Bengali solidarity cross-faith solidarity. This time, it was Hindus who supported partition, largely because, after the Communal Award of 1932, Muslims had dominated the Legislature in a coalition government with European support. Hindus now saw their future within India, where Hindus would be a majority. For Hindus, a separate Bengali state was no longer an attractive option, despite the appeal of Bengali solidarity. Bengali Muslims, for their part, did not want to live in a United India. London mandated that the Legislature meet in two sections, one comprising delegates from Hindu-majority districts and the other from Muslim districts. A majority in favor of partition from either section would determine the outcome. On June 20 1947, 166 to 35 in the East Bengal section actually voted against partitioning Bengal and in favor of the whole province joining Pakistan. A vote in the Western region favored partition by 58-21, with the West joining India and the East Pakistan. Almost certainly due to the wedge that Britain's divide and rule policy had driven between Hindus and Muslims in Bengal, partition followed more or less along the same demographic lines as it had in 1905, except that only the Muslim Sylhet region of Assam voted to join (by a majority of 55,578 votes) what was to become East Pakistan. Partition followed, although only a minority of the whole province wanted this. Hundreds of thousands of casualties resulted from riots and during mass population transfers. Having religion in common with West Pakistan, however, over a thousand miles away, did not prove strong enough to glue the two provinces of the new nation together. In 1971, after a bloody Bangladesh War of Independence, the East became a separate sovereign state for reasons that had to do with culture and language and Bengali nationalism. A nation was born that, although majority-Muslim, declared all its citizens, regardless of religion, equal before the law with "nationalism" as a principle of state. ↑ 2.0 2.1 Hardy (1972), 149. ↑ 5.0 5.1 Edwards (2004), 87. ↑ 6.0 6.1 6.2 Metcalf (2002), 155. ↑ Constitution of Bangladesh, Fundamental Principles and State Policy. Retrieved November 16, 2008. Baxter, Craig. 1997. Bangladesh: From a Nation to a State. Nations of the modern world. Boulder, CO: Westview Press. ISBN 9780813328546. Chatterji, Joya. 1994. Bengal Divided: Hindu Communalism and Partition, 1932-1947. Cambridge South Asian studies. Cambridge, England: Cambridge University Press. ISBN 9780521411288. Bukowski, Jeanie J., and Swarna Rajagopalan. 2000. Re-distribution of Authority: A Cross-Regional Perspective. Westport, CT: Praeger. ISBN 9780275963774. Edwards, Philip. 2005. Shakespeare and the Confines of Art. Routledge library editions. London, UK: Routledge. ISBN 9780415352826. Ghosha, Nityapriẏa, and Aśokakumāra Mukhopādhyāẏa. 2005. Partition of Bengal: Significant Signposts, 1905-1911. Kolkata, IN: Sahitya Samsad. ISBN 9788179550656. Hardy, Peter. 1972. The Muslims of British India. London, UK: Cambridge University Press. ISBN 9780521084888. Islam, Sirajul, and Harun-or-Rashid. 1992. History of Bangladesh, 1704-1971. Dhaka, BD: Asiatic Society of Bangladesh. ISBN 9789845123372. Metcalf, Barbara Daly, and Thomas R. Metcalf. 2002. A Concise History of India. Cambridge concise histories. Cambridge, UK: Cambridge University Press. ISBN 9780521630276. Saxena, Vinod Kumar. 1987. The Partition of Bengal, 1905-1911: Select Documents. Delhi, IN: Kanishka Pub. House. History of "Partition of Bengal (1905)"
This page was last modified on 26 March 2015, at 16:13.